Early identification of feet 'at risk' for ulceration FM1111 Foot Imprinter Harris Mat is important in preventing plantar lesions in diabetic patients with insensitive feet. Plantar pressures are higher in diabetic neuropathic patients than non-diabetic and non-neuropathic Counterparts. As high plantar pressure is a proven risk factor for foot ulceration, effective screening for high plantar pressures in diabetic patients could have a major influence on the incidence of diabetic foot ulceration. Emed Platform Pedography is the study of pressure fields that operates between the plantar surface of the foot and a supporting surface. 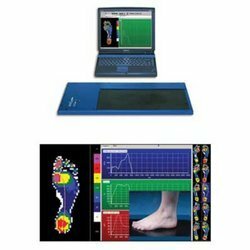 The Plantar Pressure Pedography System emed offered by us is a measuring tool that helps in early recognition of the varied pressure patterns in the person suffering with neuropathy. The tool is also known as foot pressure measurement system. It is used for biomechanical analysis of posture or gait. 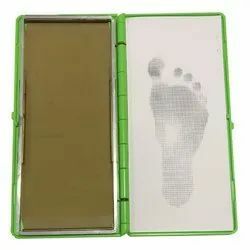 The system helps to detect the walking pattern of the neuropathic forefoot, Charcot foot, and the typical diabeticpatient foot pattern. Our highly advanced Plantar Pressure Pedography System is made by Novel Gmbh, Germany and we are their authorized distributor in India. Looking for Plantar Pressure Equipments ?